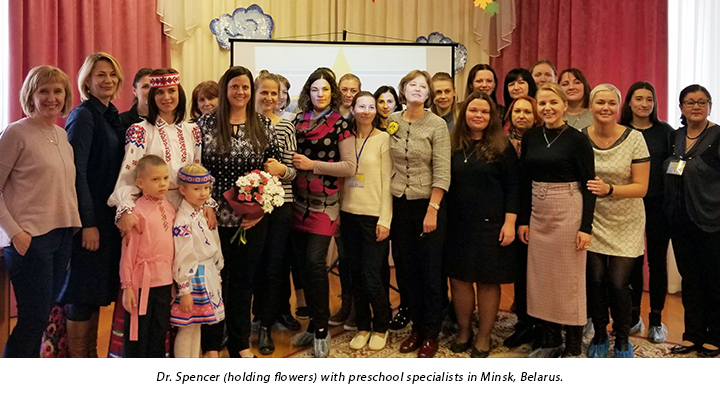 CFS's Dr. Trina Spencer, from the USF Rightpath Research and Innovation Center, recently traveled to Minsk, Belarus as part of a humanitarian group to help build capacity of Belarusians to work with young children with autism. A behavior analyst with expertise in language develop was specifically requested to teach their specialists. While there, Dr. Spencer lectured at the university for two days and spent three days working directly with 20 specialists in preschools. She also conducted question-answer sessions with families of children with autism and visited school and clinic sites across the city. Dr. Spencer’s interpreter, Katya, will likely be the first Board Certified Behavior Analyst in Belarus. 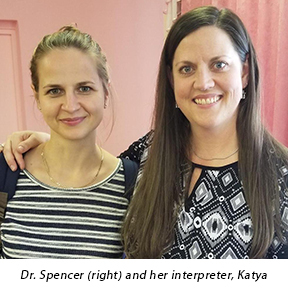 Katya was specifically assigned to Dr. Spencer because she was knowledgeable of the behavior analytic terms in English and Russian and because she is a professor at the Linguistics University. Dr. Spencer and Katya are working to develop a research partnership that will no doubt evolve into a long-term collaboration.